Today’s special guest is Arthur M. Doweyko. He’s chatting with me about his sci-fi fantasy collection of stories, My Shorts. Arthur has authored 100+ scientific publications, invented novel 3D drug design software, and shares the 2008 Thomas Alva Edison Patent Award for the discovery of Sprycel, a new anti-cancer drug. He writes hard science fiction and fantasy. His debut novel, Algorithm, which is a story about DNA and the purpose of humanity, garnered a 2010 Royal Palm Literary Award (RPLA) and was published by E-Lit Books in October 2014. His second novel, As Wings Unfurl, a story of guardian angels that are not angels, forbidden love, and the secret fate of humankind, took 1st place as best pre-published science fiction novel of the year at the 2014 RPLA competition and was published in 2016 by Red Adept Publishing. He lives in Florida with his wife Lidia, teaches college chemistry, and happily wanders the beaches when not jousting with aliens. 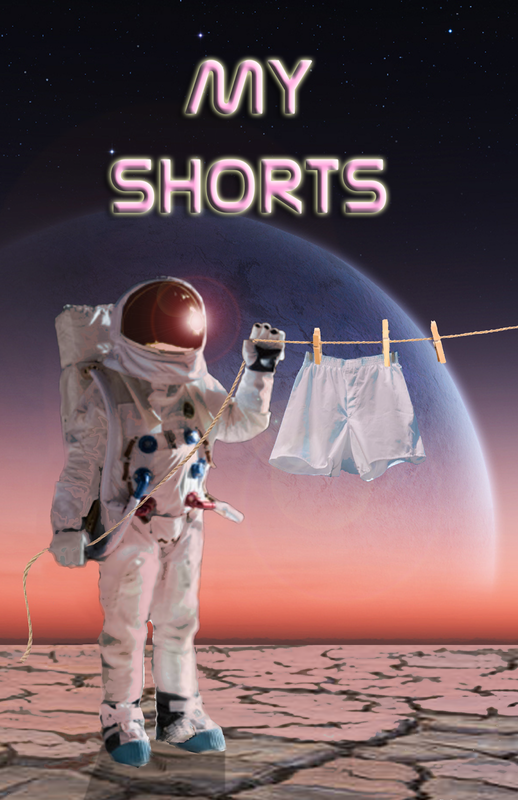 My Shorts is a compilation of 13 short stories which include award-winning titles. These stories will remind the reader of Rod Serling’s Twilight Zone as well as the hard science fiction of Arthur C. Clarke and Isaac Asimov. I enjoy the “what if” concept which is intrinsic to each story. Science fiction and fantasy work best under such an umbrella, especially when the question reflects the wonders of human nature and imagination. Current project is Wind in Trees, a novel-length manuscript which focuses on Henry Wind In Trees, a Lakota Sioux native American who is also a cyborg. The world has been devastated by what appeared to be a natural disaster which resulted in the death of all human beings, except Henry. Henry sets out to discover what really happened. This novel has already bee recognized with an award from the 2016 Royal Palm Literary competition (Florida) and a five –star rating by Readers Favorite. At this time, it is being shopped to agents and publishers. As long as I could remember I’ve been spinning yarns. In high school I passed around short stories in trig class. My first real published work was the 2 volume Algorithm, a science fiction adventure about our origins based on real science and real events. Most of my time is spent writing. I also teach college chemistry. I rarely write a story if I know what’s going to happen. A chemist, and that came true. My second choice was an artist…which also came true. Thanks for being here today!